A Hamilton hot sauce company earned themselves some zesty exposure recently on season 5 of the popular YouTube show Hot Ones — one of the episodes now has over 3.5 million views on Youtube. Brodie Dawson, creator of Dawson’s Hot Sauce, was approached by the show last year for his “Original Hot” hot sauce, which was featured in the season’s 22 episodes; clearly, Dawson’s has made a name for itself since its inception in 2013. Hot Ones, which just finished its 5th season, interviews a different guest celebrity each episode while they eat hot wings dressed in progressively hotter sauces. “That has a lot of flavour,” said Charlize Theron after tasting the Hamilton-made sauce, which was 7th in line out of 10. Since that episode aired in March, it’s no surprise that Brodie and his small team have been kept incredibly busy. Of course, some of that growth was already in motion, but the show undoubtedly helped turn up the heat. Only one year ago, the business was just Brodie and his dad Bruce. He now has 3 part-time employees, along with help from his girlfriend. Everything is prepared, cooked and packaged in Hamilton, by hand, in a shared space. The ingredients come from warmer climates, including Mexico, the Caribbean, Vietnam, and the States. “I’ve always been a hot sauce guy,” Brodie tells us, “but the ones I was finding in stores didn’t have the flavour I was looking for.” So he started to think, “maybe I’ll give this a go,” and began experimenting in his own kitchen with peppers he’d bring home from the market. “There’s real food in this stuff,” he says, adding that a lot of generic hot sauces out there are too salty or vinegary, which can result in heart burn. Brodie set out to fire up a higher quality, gourmet product. What began as a hobby and a way to share quality sauces with friends and family, would soon turn into a fiery business. And he’s certainly come a long way from day one, when he started making cold calls to spread the word about his new business. It required some persistence, but eventually, smaller and medium-sized stores began taking the product on, and it spread from there. This map on Dawson’s website shows how many stores and markets they’re now in all throughout the Golden Horseshoe and beyond. They also have a lot of buyers in the States, which Brodie says is likely where the Hot Ones interest came from. 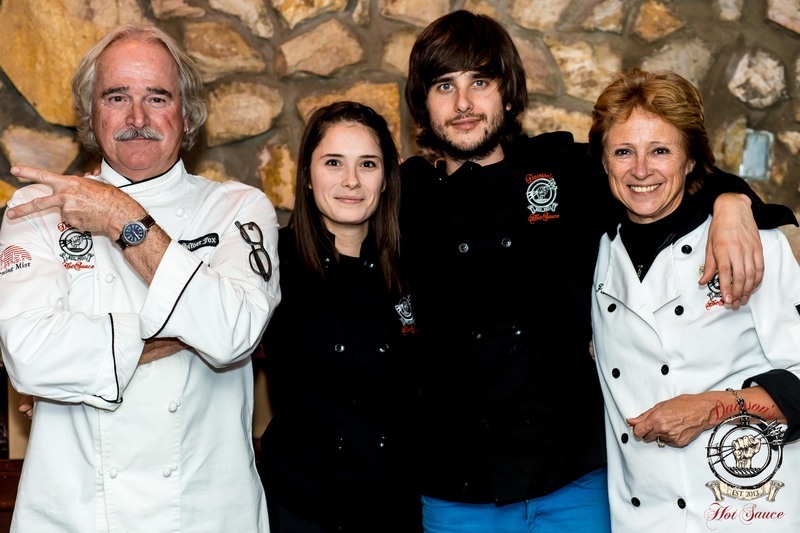 Along with the bold flavours in his sauces, Brodie attributes some of his success to a tenacious and dedicated attitude. So far, Dawson’s has 7 unique sauces available online, including flavours like Big Smoke Chipotle, Chocolate Chili Sauce, and Garlic Jalopeno. They also make 4 different varieties for other companies. Brodie’s busy now working on some exciting additions, including an idea for different themed sauces on the website. 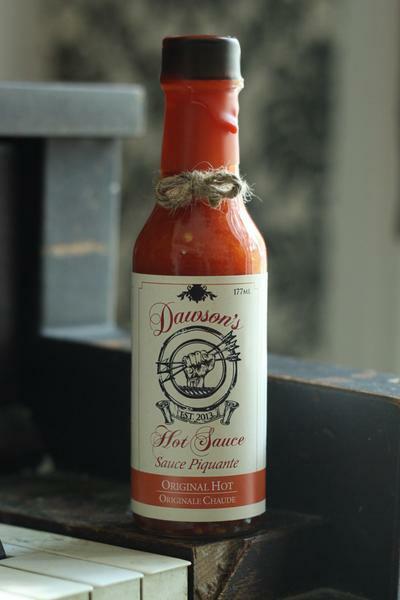 In the meantime, you can check out Dawson’s Hot Sauce here.